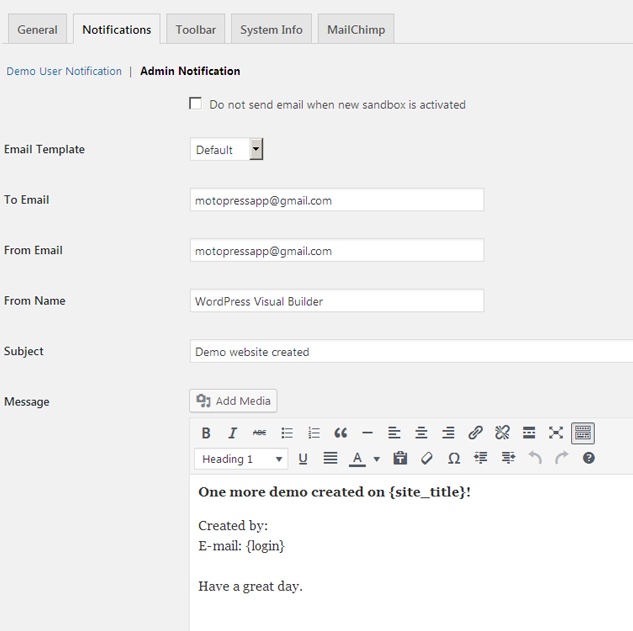 MotoPress has some great news for developers who create WordPress products for different purposes. We offer a smart organic solution to increase sales or downloads of your works and win people’s trust! 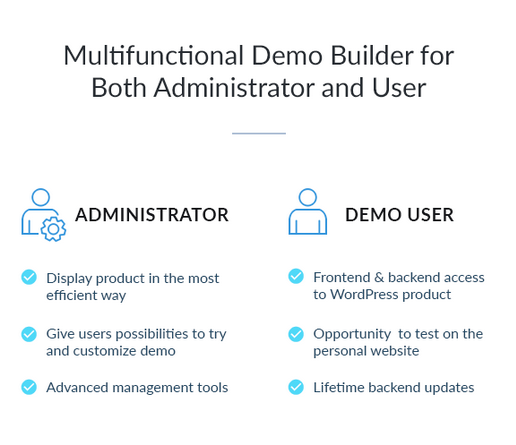 It’s realized in a new Demo Builder for any WordPress Product plugin, which aims to help you construct an awesome demo presentation of your WordPress work and give users access to its dashboard for trial testing. Isn’t it the best method to present your WordPress theme or plugin in a way your users want to see it? Why so many people tend to check the cafe menu online or read reviews about the coat before ordering it on the net? Obviously, they want to get maximum reality of something they are ready to pay money for. And while you present it on the net, you get more chances to make this reality even more attractive. If you are still tinkering with your WordPress products trying to give them a saleable description, get the solution that will make your work much more easy and effective – let users “see and touch” your offerings online. Let’s discover more features of the plugin possibilities. First up, do you mind a quick look at the the plugin from the perspective of a user (your potential customer) and administrator (you)? Create a front-end live demo presentation of WordPress products, so the users can see a fully setup products with all possible features. 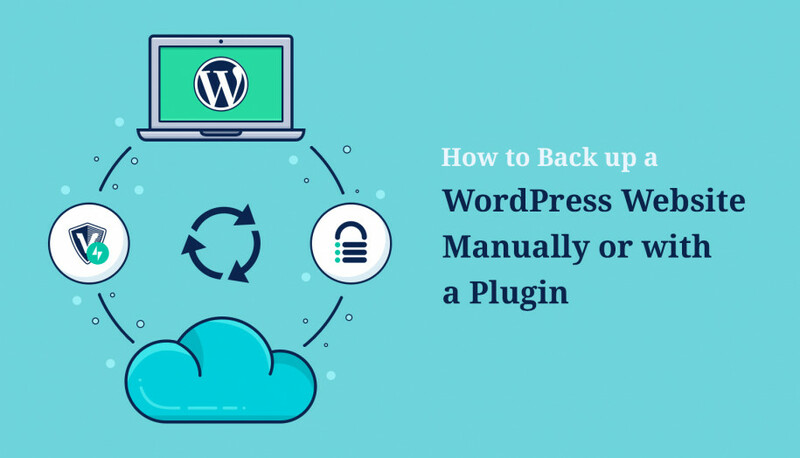 Optionally provide users with their own accounts to test the product on the WordPress backend and see how it works for them. Work with ultimate management tools for setting frontend and backend demos. Preview how your WordPress product looks/works on the frontend. Test available settings on WordPress dashboard in a personal demo account, apply changes in real time (you define what settings and for how long are available for testing). Define the amount of time which you believe is enough for the users to get aware with your product and not to lose interest in it. Demo users act faster as they are limited in time, so it gives you more chances to analyze whether the product meets target needs. 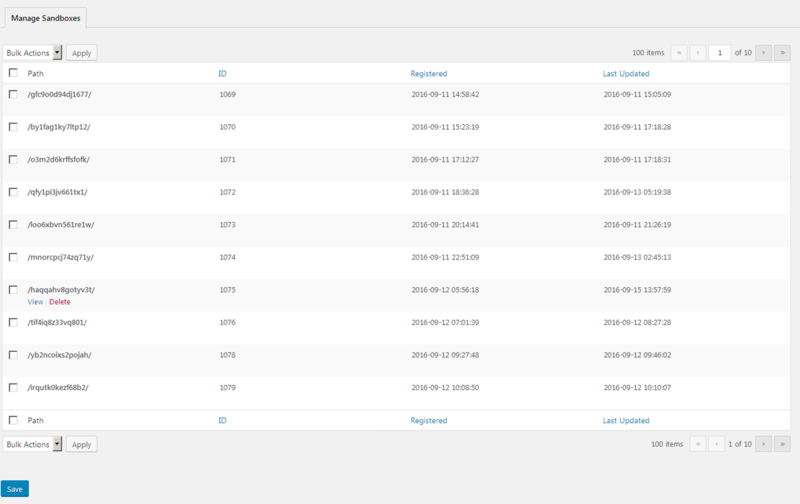 Be sure that sandboxes (demo accounts) will be automatically cleaned up upon the demo expiration. You server will never be overloaded with unneeded data. Each demo user will be able to modify content (update, delete files) in their personal accounts which are insensitive to the changes other users apply. 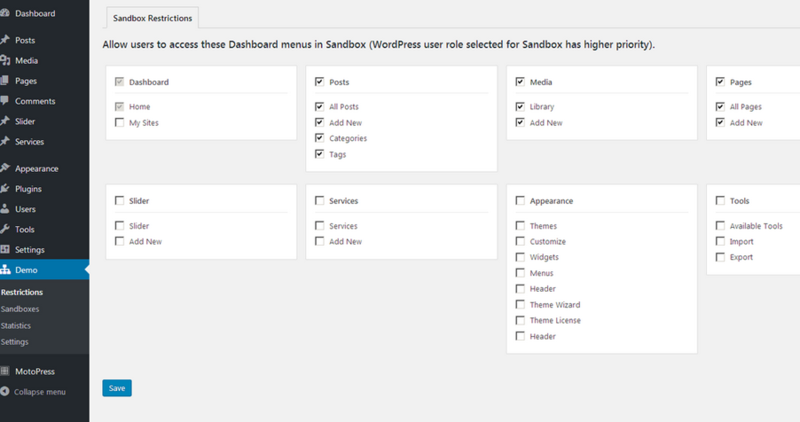 This will surely please your customers as very often trial WordPress dashboard is common for all users. Managing user access, you define which role to give to all demo users. It depends on how much customization freedom you want to provide them with. You can optionally switch on the responsive toolbar which enables online emulators for different screens and a product switcher, so the users can go to check your other products. Handy tool to preview the product on different screens and a great marketing weapon at the same time. That’s sweet, agree? You can also enable just some particular option of the toolbar. Of course, you want to impress the users with the best options and features of your WordPress products. The plugin lets you redirect them to the chosen page or post right after the demo account is confirmed via email. 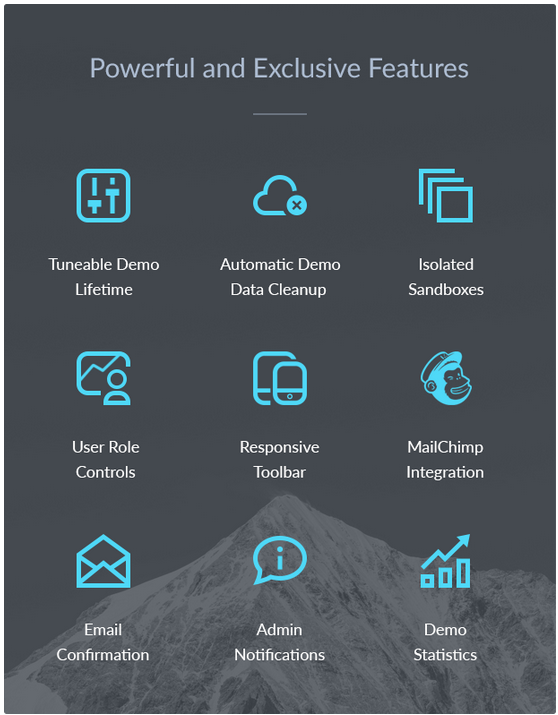 We made sure that this plugin is not just a tool to build demo presentations, it’s able to take your marketing strategy even further thanks to embedded MailChimp automation feature. Group your potential customers by interest in your MailChimp account and reach out to them even more wisely. We’ve prepared a detailed guide to simplify your work with the Demo builder or address it anytime when any questions appear. 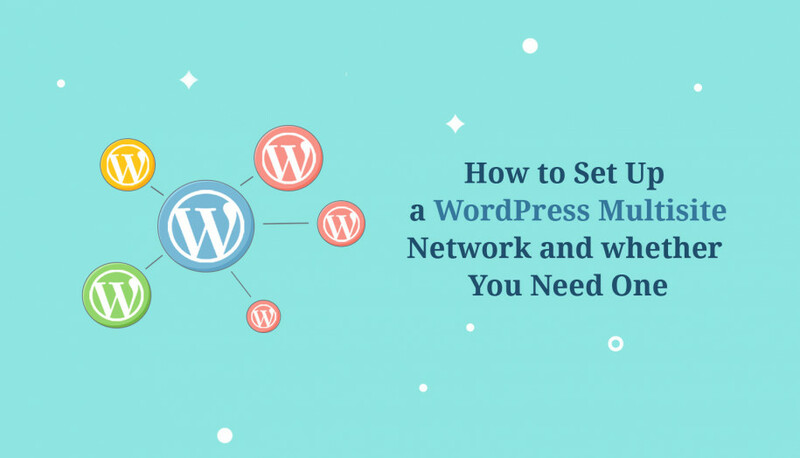 Create a WordPress Multisite network (it’s necessary!). Install and activate WordPress Demo Builder plugin. Build your unforgettable demos in a way your wish and apply all needed settings. 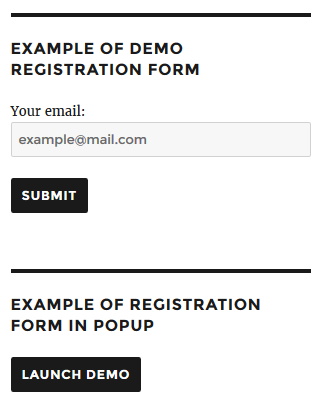 If you wish to provide interested users with access to the plugin dashboard, set Demo registration form, so they are able to create sandboxes and experiment with your products. 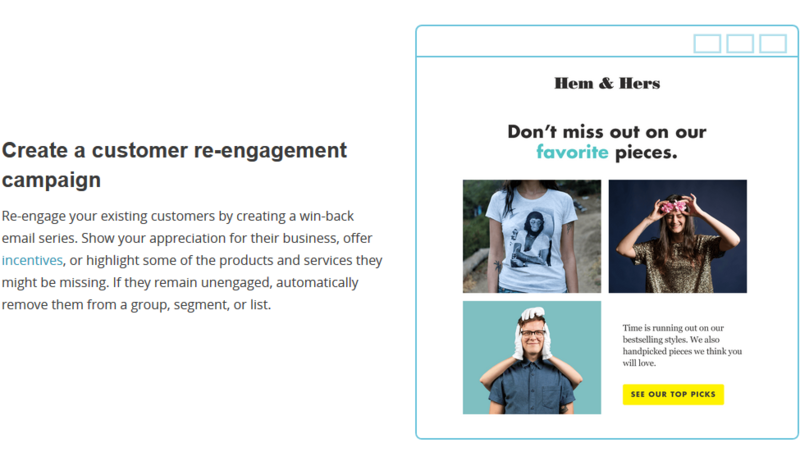 After account confirmation, all demo users are sent follow-up emails created with MailChimp automation, so you get more chances to convert users into customers. Soon there will be talks that a demo presentation is a must-have. Don’t postpone a moment that can significantly increase popularity of your products and sales, give it a try with MotoPress. We are eager to hear our feedback! Check out real-world examples of using Demo Builder plugin! 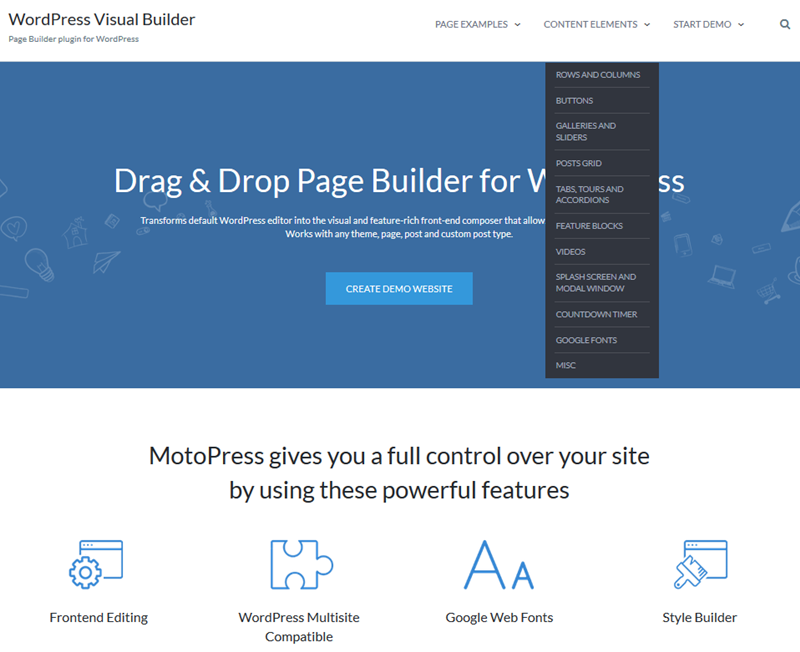 You might be also interested: get the Demo Builder with all our plugins and themes in one extremely discounted bundle and use all on unlimited websites with MotoPress Membership.